Led by performance professionals, Ibex Network is an affiliate programme housing leading e-gaming brands worldwide. Our well-established advertisers singularly lead their markets, offering customers a truly localised and entertaining gaming experience. 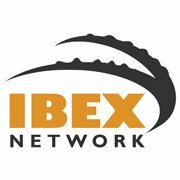 Previously filtered by the Ibex Network, we will only offer the best of the breed on our platform. Most affiliate companies treat suppliers as providers. We prefer to treat you as partners as we recognize that we benefit from your hard work and commitment. It’s not just about bringing traffic! It’s about bringing revenue and maintaining life cycles. And we also reward our partners. That’s why we have created a personalized platform which is simple to use, versatile and accurate. Our spontaneous and prompted awareness recall levels are amongst the highest in their respective gaming fields and our well-known names. To summarise, we offer a business partnership with no strings attached, a hardworking team that understands and values your work and works under our performance “umbrella”, recognizing your potential and the need to increase revenues immediately.